Education today faces major challenges as educators address changes, curriculum requirements, and needs of the student population. The addition of technology further complicates the equation and presents many new questions. Institutions are now challenged by an overwhelming selection of technology options to provide remote learning programs and initiatives. Not since the invention of the printing press has education witnessed such a rapid transformation in the way instruction is delivered to students. The influx of new devices and technology has forever altered the traditional classroom learning dynamic, creating endless new opportunities for collaboration, communication, and personalized learning. In just 25 years, we’ve moved from textbooks, workbooks, photocopiers, and VHS tapes to computers, tablets, robust Internet connectivity, online content and curriculum, whiteboards, and mobile video conferencing. That latter technology—video conferencing—was initially used to neutralize the distance between students and educators and deliver content. In its early stages, video conferencing was facilitated through large, cumbersome equipment and hardware. Fast forward to today, and the face of video conferencing has changed dramatically. The proliferation of new desktop and mobile video collaboration solutions enables educators and learners, as end-users, to engage in anytime/anywhere video communications via their smartphones, tablets, and/ or computers. 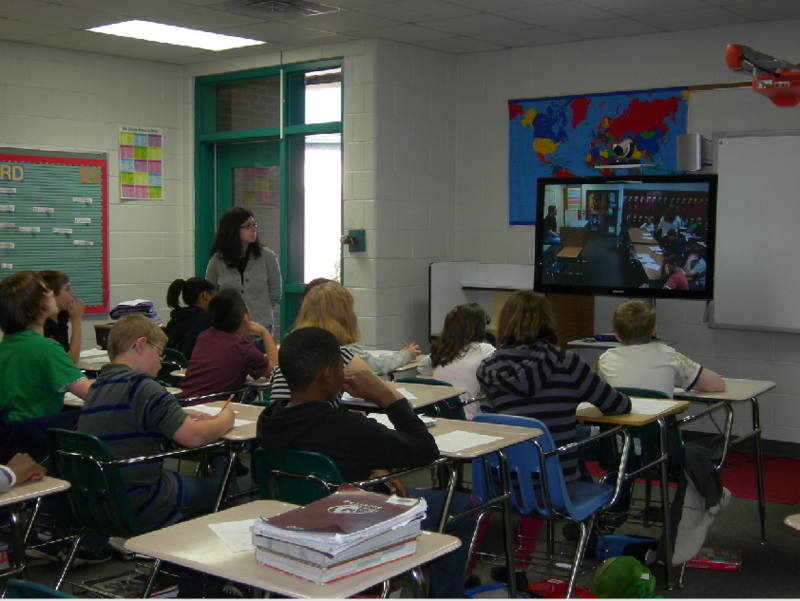 Despite video conferencing’s early and growing popularity in education, limitations and challenges surrounding the technology itself prevented it from being wholly embraced and integrated into the K-12 landscape. In addition to bandwidth constraints and costs, other factors such as lack of dedicated space, complexity of use, inability to integrate with curriculum, and challenges with bell schedules also hindered broader use of this technology. As education has moved into the 21st century, the desire for new and engaging technologies has increased, with the trend in educational technology moving toward that of mobility and personalization. This decade has delivered faster computing, the availability of affordable personal devices, and sophisticated online instructional and administrative applications. Institutions are investing in HD video and interactive collaboration tools to bring students, teachers and outside experts together for richly collaborative educational experiences. We support rural school requirements including recording and streaming of class content on line and offer an assortment of affordable collaborative tools to enrich the experience. Our experience with the Colorado Distance Learning Association has given us rare insights in the cost analysis. Deployment strategies, grant process and makes VideoConferenceGear.com the perfect partner for any educational institution. Zoom,which offers a video conferencing experience that combines HD video conferencing, mobility, and web meetings in a free cloud service. The Unified Meeting Experience platform offers mobile-screen sharing and works across desktop, tablet, mobile and room systems. It is available for Mac, Windows, iOS, Android and H.323/SIP room systems. 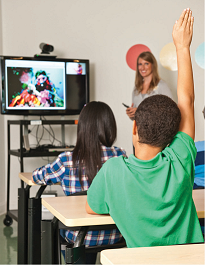 We offer high quality high definition videoconference cameras and displays, hardware and software codecs, projectors and interactive whiteboards, and wireless presentation tools to our education clients and help them create classrooms that are exciting and stimulating environments to advance learning.